Electronic course registration systems allow students to select courses and giving student to access course offerings through these on-line systems as well as the ability to complete various administrative functions allows for better management of curriculum decisions in the context of academic objectives. The objective of these systems is to make this process more convenient and easier to achieve which has been met with varying levels of success. This study looks closely at one particular system, the e-Lion system at the Pennsylvania State University. Data was collected using semi-structured interviews and an online survey. The findings are discussed through the lens of the Delone and McLeane (D&M) information systems success model and are of interest to business practitioners fielding on-line systems in the areas of e-commerce and e-learning as well as many others, providing considerable insight into the importance of system usability. For those who can recall the time before iPod’s and cell phones, the course registration process in most higher education institutions was a challenging, often frustrating rite of passage the student must endure every semester simply to sign-up for their classes. In order to officially register for classes, each student must have filled a form out manually, taken it to the Registrar’s Office; stood in a line (quite often for long periods of time without the benefits of the aforementioned IPod or cell phone to help pass the time) and finally gotten the form officially approved and stamped. The student went through the same tedious process to accomplish things like changing their current course schedule by dropping or adding courses (Boroson, 2003). These challenges have prompted academic institutions to embark on school-wide electronic curriculum support mechanisms for on-campus functions such as course registration. These systems typically allow students to select courses offered for the up-coming semester or even for the up-coming academic year. The student can access the on-line system to add and drop courses as well as pay bursar fees through use of secure on-line payment systems. In addition, these registration systems allow advisors to spend less time performing the transaction oriented aspects of registration and more time helping students frame their coursework in the context of their academic objectives and understand the impact of their course selections. The course registration systems aim is to make easier, and more convenient, the class registration process. The registration process is extremely pivotal for universities because they receive tuition and fee payments through this mechanism and students cannot receive their student aid or payment of tuition and stipends through the other various means of reimbursement until their registration has been verified. These systems fulfilling such a critical role and function make the evaluation of these sorts of registration systems an important area of study. The institutions are required to assess how effective their registration systems are and they need to understand whether the system is performing the tasks that it is designed to perform and whether it meets the needs of different stakeholders, particularly the students. 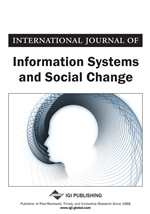 The Delone and McLeane (D&M) information systems success model contends that user satisfaction with usability of a system is “reciprocally interwoven with the ways in which the system is used” (Delone & Mclean, 2003). The Pennsylvania State University uses a course registration system called e-Lion which provides various functions such as course registration, grade reports and transcript request, to name a few, to the university community. Extension of this model as a means of evaluating the usability of the e-Lion registration system provided us with a solid theoretical framework and model for further investigation of the e-Lion registration system’s perceived usability among users. Our research questions were threefold. They were articulated as follows: (i) what are the general perceptions of the usability of the e-Lion registration system? (ii) What is the relationship between training and understanding of the e-Lion registration system? and (iii) Do graduate and undergraduate students have different perceptions of the e-Lion registration? We used multiple data sources including semi-structured interviews and an online survey. The rest of the paper is structured as follows: in the next section we provide background and describe the context of the study. Then we present a brief literature review on online registration information systems followed by our research epistemology and after, we discuss our analytical framework. Method and data are described following that. The data analysis and discussion are presented next and finally the conclusion.